More and more research is linking children, organic foods, and ADD symptom control. 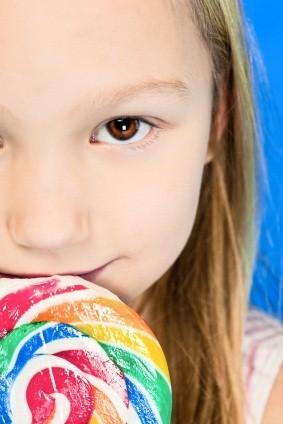 Could a dietary change reduce the intensity of a child's Attention Deficit Disorder? In the decades since food additives, preservatives, and artificial ingredients were introduced into mainstream diets, it seems to many people that there has been an increase in learning problems and other disorders like ADD and ADHD. Some believe that the increasing instances of these problems are directly related to the increasing amounts of chemicals and toxins that a child's body must deal with from conception. The control group was fed normally with food and water that would be natural to the rats. These rats remained active, alert, and healthy. There seemed to be no changes in either health or behavior. Group one was fed the same diet with the addition of hot dogs. These rats became aggressive and fought with each other. Group two was fed sugary cereals and artificially colored fruit punch. The group two rats were nervous, unable to carry out normal tasks, and hyperactive. Group three was fed donuts and cola beverages. These rats suffered from insomnia and became antisocial. Artificial colors given to baby rats directly after birth impact learning. Avoidance learning, or learning from mistakes, was altered in mice. They were unable to find their way out of a maze that the control group of mice had no problem with. There are many others thought to impact behavior as well. One of the benefits of organic foods is that they do not contain these additives, preservatives, and artificial substances by law. Since organic foods are free of pesticide residue and toxins as well, there is little chance that they could contribute to behavioral problems like ADD. It is good to remember, however, that organic foods can be as allergenic as non-organic foods. If you have a food allergy to conventional almonds, for example, you will have the same allergy to the organic product. Sugar is used in moderation because, while it can add to hyperactivity, it is believed that the additives are the problem and not the sugar. You can read more about this diet at the Feingold Website. Organic foods fit quite well into the Feingold Diet, containing none of the substances thought to cause problems. Items may have all natural food coloring but this does not generally cause a problem. Knowing as much information as possible about children, organic foods, and ADD can help you to find a way to help your child without the use of chemicals and medications. By choosing organic foods as a lifestyle you may even be able to protect your unborn child from behavior and learning disabilities.